Powerful 18 HP Propane 603cc Kawasaki engine runs clean and efficient, extending engine life vs. any other engine. 3-way catalytic muffler lowers CO, HD and Nox emissions plus monitoring to protect the operator by shutting down the engine if CO levels rise – CGA listed, CARB/EPS certified, CE approved. Model No. GPB-21HD. Grinding: 11,000 ft² / hr., Burnishing: 25,000 ft² / hr. Weight w/ Propane Tank: 265 lbs, with 17 lb weight plates (x 5) – 355 lbs. Equipped as follows: 12-volt on-board battery starter, 7 gallon on board water supply, Internal “above pad” water dosing provides even floor wetting and prevents walls and merchandise from being splashed, Adjustable welded handle for improved comfort and control, Eco Sense™ Emissions Monitoring System. 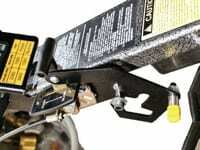 American made all aluminum casting, RokBak™ deck for easy diamond and pad installation and changing. Easy access to the filters for quick maintenance, Ergonomic clutch and finger tip on/off water flow control, Integral skirt protects surrounding merchandise, HD Diamond GPX Driver for 3″ Metal & PCD Diamonds. 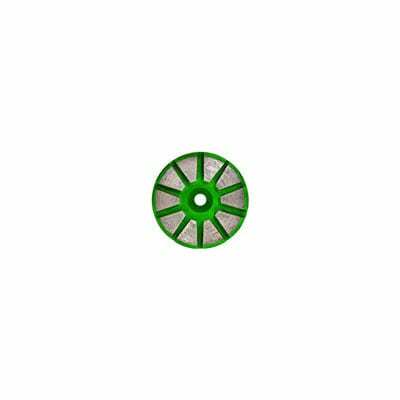 Spike Pad Driver for 21″ Pads, DiamaPads & Rubber DOT Mats, Weight bracket & Weights – directly above the driver AND adjustable rear wheels ~ All for Maximum Head Pressure Adjustment, and a dust port to accommodate a vacuum hose when dry grinding. In Concrete Restoration you’ll have larger jobs and smaller 900 square foot jobs that are down basement stairs . . .
To have one (1) machine to —- Grind This, Remove That, Down There, Over Here and All of This . . . Designed for Maneuverability, Handles 95% of All Floor Surface Applications, is High in Productivity and may be used on All Types of Surfaces. As you grind concrete everyone compliments on the smooth and uniform finish that the PE420GPHD produces – in the Fewest Amount of Passes and regardless of the diamond grit or hardness of the floor. A complete range of diamond tooling is available. Boosting an 18 HP Kawasaki Engine, HD Gear Box and the Flex-Hub Driver: Automatically adjusts the driver to the surface to produce the maximum results (which reduces the number of passes). PE420GPHD: Fast, Efficient and Extremely Easy to Operate for the User – quiet and with minimal vibration for running truer and straighter with less effort. The PE420GPHD Propane Grinder & Burnisher is one “Compact, Portable, Versatile and Powerful Machine. Specifically designed to handle all applications: Heavy-Grinding, Coatings Removal, Light Sanding, Polishing and Burnishing. 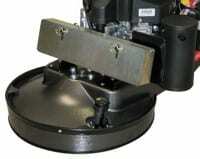 For use on Concrete, Terrazzo & Stone Floors — ONE Machine. ONE Solution. Manageable to take down flights of stairs to handle high rates of productivity. 2-Speeds: 1000 RPM for Grinding, Coatings Removal & Polishing; 1500 RPM for Burnishing. Includes a combination dust control / splash guard, 7 gallon water tank, adjustable rear wheels, removable weight plates to allow the operator to set the machine’s head pressure to the ideal setting. Guidance Power System (GPS) provides 34% lower operational costs that any other comparable machine. The PE420GPHD: The most versatile, user-friendly machine on the market. Easily switch from one application to the next as you change between Metal, Semi-Metal, Resin, PCD & Pads with little down time. 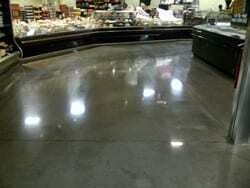 And Well Maintained Floors that Simply need Burnished. No other machine or technology can match the ability, finish or productivity of the PE420GPHD – Wet and Dry Use. Take Advantage of Safe, Clean and Efficient Propane Power. Propane powered machines give you virtually unlimited run time! Battery powered and corded machines can’t say that! 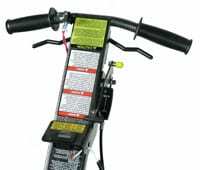 Battery powered machines are limited by a 3 to 4 hour run-time on a single battery charge while corded machines are restricted by the location of electric outlets and cabling. With these types of machines, considerable down-time comes from charging batteries and moving cables. By contrast, a propane machines only down-time is during the fuel cylinder exchange. Propane machines are not hampered by electric cabling and they can move quickly throughout any facility. Propane powered machines give you more productivity in less time! Propane machines can deliver more than 6 times as much horsepower as other comparable electric machines. And unlike battery powered machines, that horsepower doesn’t diminish as the battery drains. Combined with the increased pad pressure, propane powered machines can deliver a higher levels of productivity with less effort and in less time. That translates into increased profits as well as a cleaner and healthier working environment. Propane powered machines give you cleaner and greener results! Electric and battery powered machines typically depend on electricity generated from coal fired power plants – a major contributor of green house gases and acid rain. 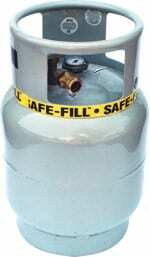 Propane is a cleaner fuel that – when burned – produces mainly carbon dioxide and water. Any harmful by-products are held to very safe levels with specialized carburetion and catalytic converters that meet strict indoor air requirements from OSHA. Plus, the PE420GPHD Machines is equipped with the exclusive Eco Sense® Monitoring System ensuring machine operators and building occupants remain healthy and safe at all times. Eco Sense® Emission Monitoring System. The only technology in the floor care industry that automatically shuts the engine down BEFORE emissions can reach unsafe levels. If the machine air intake is clogged, the air-to-fuel ratio is off (improper filling of the propane tank) or the machine runs unattended, Eco Sense® will automatically turn off the engine before a minor problem can turn serious. And the Eco Sense® monitoring will continues after shutdown to ensure that the problem is corrected before the engine can start again. IMPORTANT: When filling your propane tank, it is important to bleed (empty the tank) prior to attaching it to the grinder. When bleeding, if a white mist (a liquid) appears, continue to bleed (purge) the cylinder until there is no white mist. HOW EFFECTIVE is ECO SENSE? If the propane tank was improperly filled (the tank wasn’t purged before filling and the white mist is evident), the grinder WILL NOT HAVE POWER (Torque). Just as important, because of the improper fuel/air mix ratio, Eco Sense will prevent the mixture from going to and damaging the engine. NOTE: If such a situation would occur, you’ll notice that the tachometer (picture) will not be showing high enough RPM. This is your notice to purge the propane cylinder to correct the propane mixture so the necessary RPM’s can be achieved. The Best Propane Power . . . vs. any other propane grinder! Power and Performance at a Fraction of the Cost. More Powerful. More Efficient. More Affordable. 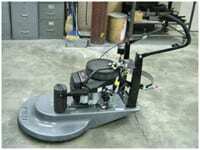 Save More Than 34% in Operating Costs vs. Any Other Propane Powered Floor Machine. Propane power eliminates cords, pigtails, having to make a friend with an electrician, or having to purchase a pull-along generator for this size of machine. The PE420GPHD propane powered engine runs cooler, smoother and more efficient. Those facts acts add up to tremendous savings that can help you pay for the machine even before the warranty runs out! * Two years of operation is estimated by assuming the equipment is operated 5 hours per night, 6 nights per week for 50 weeks per year (3000 hours). PE420GPHD propane engine requires an oil change every 50 hours. Other engines require an oil change every 30 hours. Based on 1.8 quarts of oil per oil change, PE420GPHD engines reduce oil costs by 40%. PE420GPHD propane engine requires an oil change every 50 hours. Other engines require an oil change every 30 hours. Based on replacing one oil filter for each oil change, PE420GPHD engines save you 40% in oil filter costs. On average, the PE420GPHD propane engine uses 3.25 lbs. of propane per hour. Other propane engines burn 4.92 lbs. / hr. Based on these consumption rates, the PE420GPHD engine reduces fuel costs by 34%. When compared to other machines in its class, the PE420GPHD propane engine reduces total operating costs by more than 34%. A head-to-head comparison to competitive machines. Affordable. Dependable. Efficient. 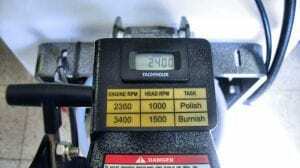 Hall mark traits of the PE420GPHD 21″ HD Grinder / Burnisher. Having one of these qualities is difficult to attain, all three is what separates the PE420GPHD from the competition. Other machines may look like ours but none of them have the fuel efficiency and low maintenance costs. 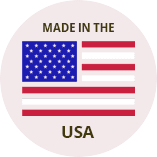 Complete made in the USA with parts that are readily available – Try getting that from any other machine . . . The quality of the PE420GPHD is validated daily in the service shop where technicians continually help maintain 20 year old machines that are still performing in supermarkets, schools and with retailers and facility personnel around the world. The PE420GPHD Machine was developed for flooring professionals by flooring professionals. Beyond the design and efficiency, the 21″ Grinder / Burnisher is extremely easy to operate. Engineered for Simplicity. Manufactured to Last. $800 MORE in fuel cost! $800 MORE in oil changes! $1100 MORE in operating costs! luck with parts and service! Times MORE CO during engine idle! Times MORE CO during operation! AS HOT for the operator! the oil is $50.00 per oil change. From 900 Square Feet (Residential Garage) Projects to Large Warehouse Floors – The PE420GPHD is compact, an all-in-one, portable, HD machine – completely capable of handling 95% of Floor Restoration AND Maintenance Projects. Easy Handling ~ Feels, Handles, Operates like an Auto Scrubber . . . 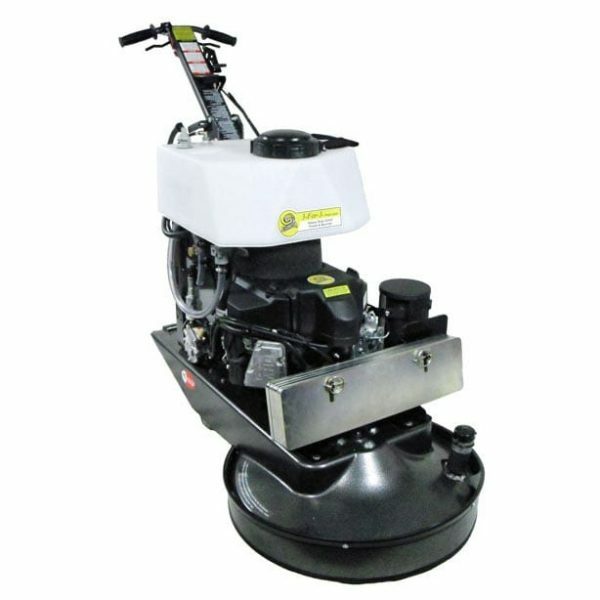 Realizing the need for a machine to be portable but highly productive, the 21″ Propane Powered Grinder / Burnisher is a belt-driven, walk-behind machine that is used to Remove Coatings and Restore Unfinished, Old, Worn and Damaged Surfaces. Additionally, its “fine” Head Pressure” adjustment features (see below) – that actually does preserve the harden trowel finish – was designed and built around the principal of having the machine equipped with the necessary Heavy-Duty and High Torque Power to take Heavy Stock & Coatings Removal Projects. Likewise, the GPX Steel Diamond Driver enables you to use 3″ Metal and PCD Diamonds to Level Floors or to grind “Beyond the Damage” and to Slice through Heavy & Difficult to Remove Coatings & Sealers — all with this Compact but Extremely Powerful & Versatile One Solution Machine. GPX Driver Technology – Provides a smoother consistent surface with fewer passes by following the contours of the hard floor surface. 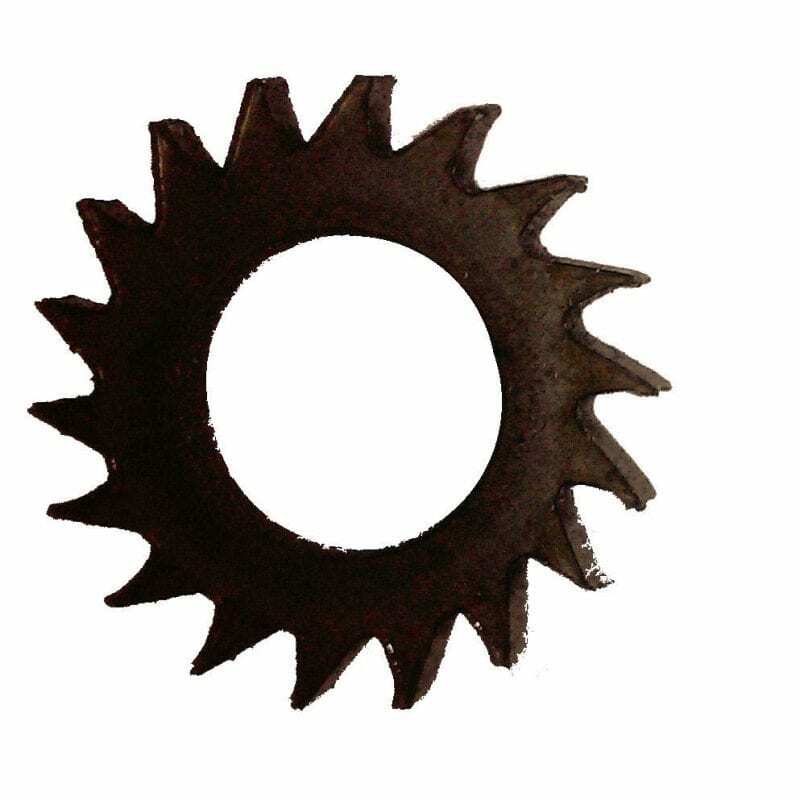 For use with 3″ diamond tools. 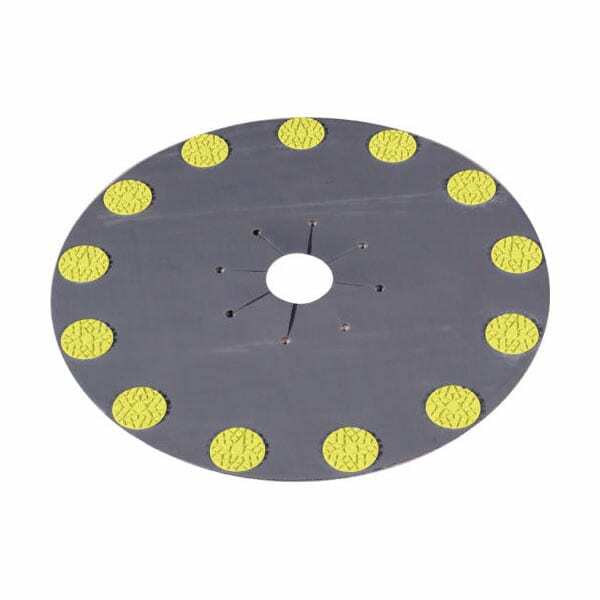 For Concrete, Marble, Terrazzo, VCT, etc. Solution Control Switch. The solution control switch controls the pump that pumps solution from the tank to the floor. Start: Press the right side of the switch. Stop: Press the left side of the switch. 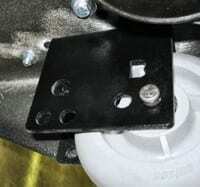 Clutch Switch Lever. When squeezed the driver pad will turn. The pad will not turn until the lever is engaged. Only one side of the lever requires engagement at one time, allowing the user to alternate hands during operation. 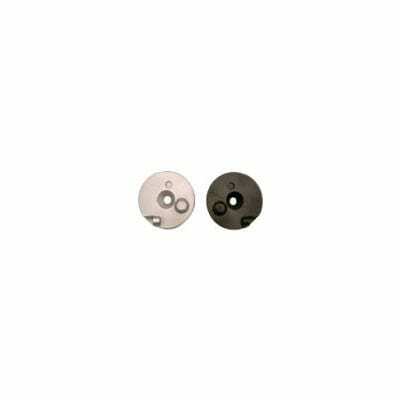 · 3rd position, strictly for burnishing @ 1500 rpm. Fine tune adjustments to increase or decrease down pressure. Procedure: In the roll-back position (with the grinder tilted backwards and resting on its T-handle), you see that there are two (2) wheel locations – each with two (2) holes. The front location is for burnishing, the rear location (closer to the T-handle) is for grinding. In the forward hole, the driver plate will be laying perfectly flat to the floor. In the rear hole, head pressure is further increased by angling the driver plate to a 4 o’clock position on the floor. Burnish Position: Front location, front and rear holes. Grinding Position: Rear location, front and rear holes. Weight Plates & Wheel Settings. Before beginning any project you always start with the wheels in the rear holes and use no weights. If you feel more down pressure is needed, add the weight plates as needed for increased head pressure. 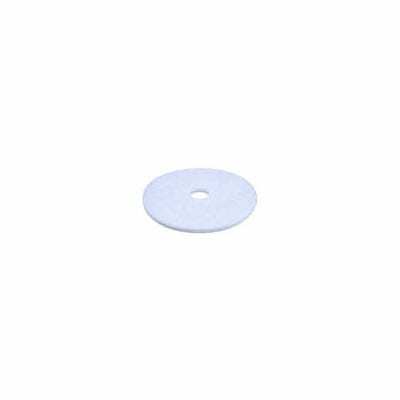 For coatings removal, if the surface is tacky, you may improve results by using less weights and positioning the wheels in the front holes. Weight w/ Propane Tank: 265 lbs, with 17 lb weight plates (x 5) - 355 lbs.